This is the second part of this post about leisure in the northern parts of the Auckland region. Missed Part 1 of this post? Find it here. Culture, leisure and entertainment have changed with changing technologies. In the early part of the 20th century the travelling People’s Picture company was very popular. It regularly visited Matakana, Puhoi, Wellsford and other places during the summer months. 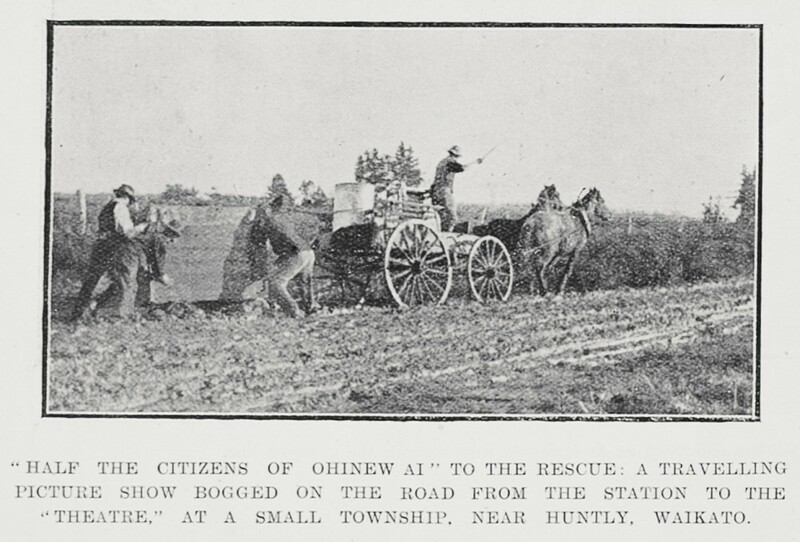 Ref: Excerpt from the Rodney and Otamatea Times, Waitemata and Kaipara Gazette , 8 October 1913, Page 4. 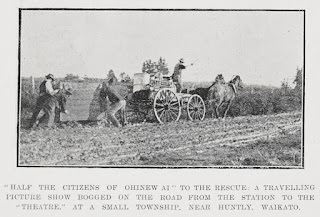 Ref: Auckland Weekly News, "Half the citizens of Ohinewai', to the rescue, 6 August 1914, Sir George Grey Special Collections, Auckland Libraries, AWNS-19140806-52-6. 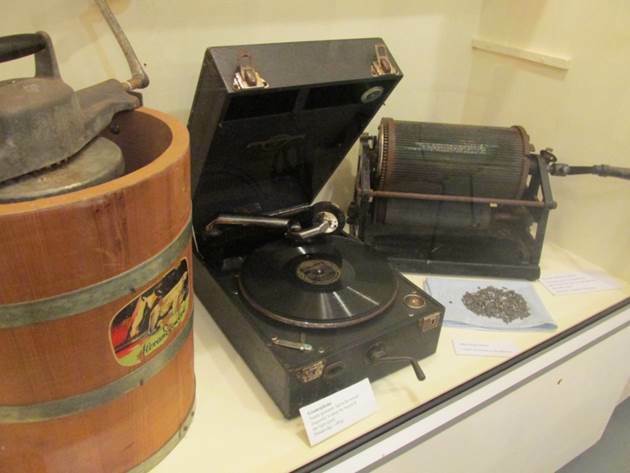 New technologies became increasingly available during and after World War Two, bringing more leisure activities into people’s homes. Ref: Carolyn Skelton, Gramophone & print press, Warkworth Museum, 2014, Rodney Image Collections, North Auckland Research Centre, Auckland Libraries. Judy Waters talks about going to the pictures at Warkworth Town Hall, during and after World War Two. An extract can be heard at Local History Online: Oral history interview with Judy Waters, 2015, OH-1239-003. The full interview is held at the West Auckland Research Centre at Waitakere Central Library, with copies held at Warkworth District’s Museum, and the North Auckland Research Centre at Takapuna Library. In the 21st century, multimedia on digital devices can be carried easily between private and public locations. They are platforms for communication, entertainment, information and education. Wellsford War Memorial Library (Te Whare Pukapuka O Wakapirau he Tohu Whakamaharatanga ki Ngā Pakanga) provides computers with internet access and free wifi connections for mobile devices. It also has print, video and audio items for public use. 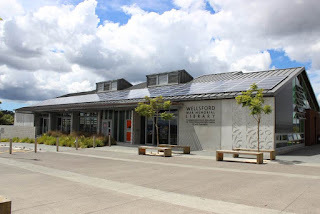 The library is solar powered, and it is the site of a war memorial. Ref: Carolyn Skelton, Wellsford War Memorial Library, February 2015.